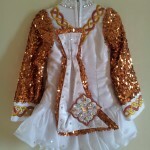 Stunning Siopa Rince championship dress. Only 9 months old. 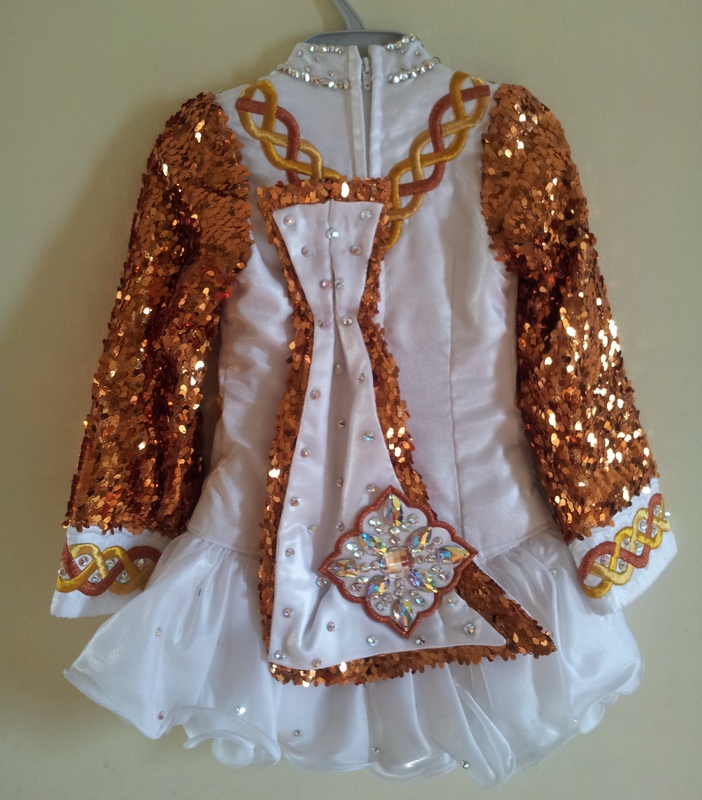 White and gold and decorated with swarovski crystals. Amazing on stage!!! 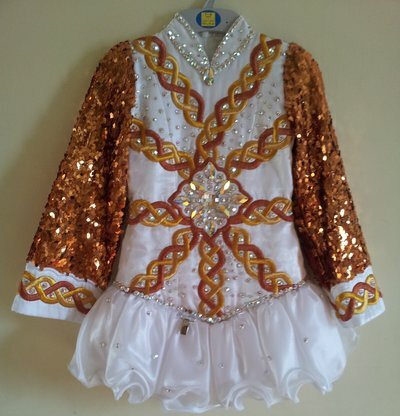 Comes with kick pants and tiara. We absolutely loved this dress. Was gorgeous on my daughter.